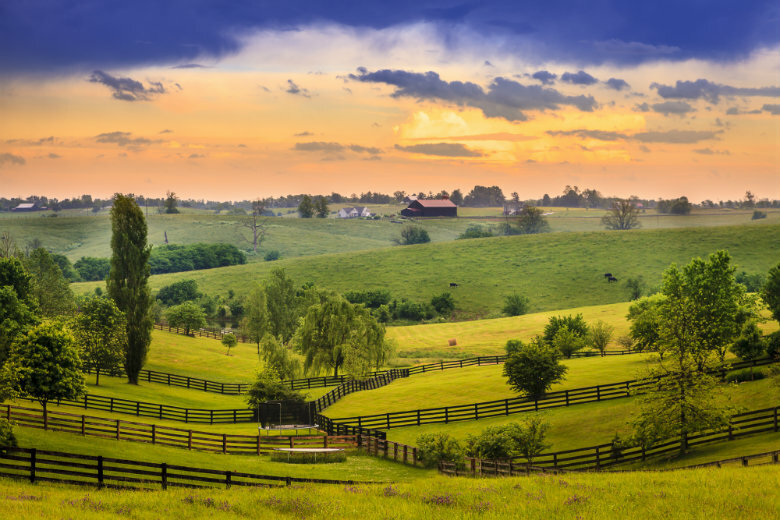 Kentucky, also known as the Bluegrass State, is located in the southern part of the United States. Due to its location in the south, or more specifically the south central, Kentucky is known for its comfort food and southern hospitality. In addition to these reasons, visitors are drawn to the area for its Derby, a horse race that is held annually in Louisville. Visit Kentucky. If you have plan on moving to Kentucky, of course, you will want to take your car with you. Even if you are planning a long vacation to the state, having your own car can come in handy. This allows you to explore all the beauties of the Bluegrass State. However, you must consider how you will be getting your car to Kentucky. National Dispatch provides car shipping services to and from Kentucky. Therefore, these services are useful, not only if you are moving. Our customers also use car shipping services when purchasing a car out of state or going on an extended vacation. Here are a few tips to keep in mind when looking at car shipping services. To ensure that your vehicle arrives when you need it, you must plan ahead. This means booking car shipping services in advance. When booking, you will be given a window of time of when to expect the car. This will vary depending on your shipping method. When it comes to transporting your vehicle, you have two main options. You can ship your car on an open transport carrier or an enclosed transport carrier. If you own a classic, luxury, or other high-value vehicle, you may want to consider shipping your car via enclosed auto shipping. This method will protect the car from weather and road elements. An alternative would be to request top-loading on an open carrier. Remove everything from the car. For insurance purposes and safety reasons, it is important to remove all personal belongings from the car prior to car shipping. The auto transport company is not responsible to damages that occur to these items or to the car as a result of these items. Read more on how to prepare a car for shipping. After your car has safely arrived in Kentucky, you will want to take some time to explore your new home. Kentucky has something for everyone. Check out these 5 cities. Louisville is the largest city in Kentucky. It also happens to be on the list of America’s largest cities. Louisville is a great place to work and live. The job market is good, and the cost of living is below the national average. This makes it the optimal location to raise a family. 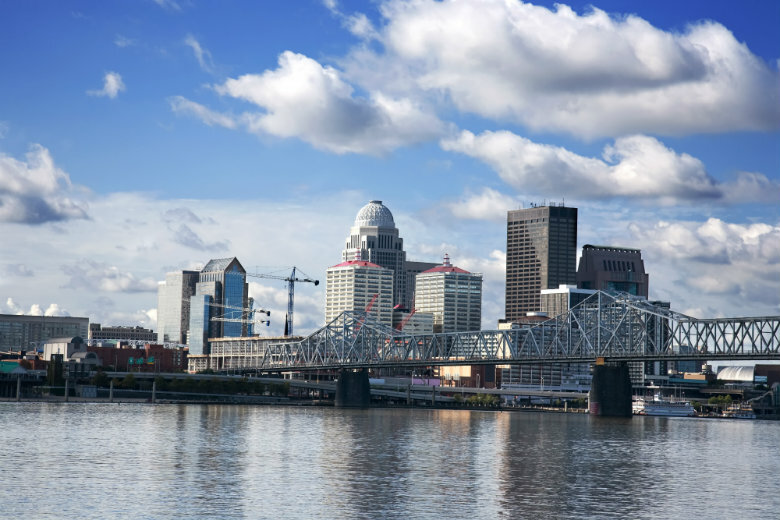 The city also offers many family-friendly attractions, such as the Louisville Zoo, Kentucky Science Center, and Louisville Slugger Museum. Louisville is also known for being the home of the University of Louisville. Go Cardinals! The Kentucky Derby is the event that attracts people from all over the nation to the city for two weeks of fun. Lexington is only about half the size of Louisville. Like much of the rest of the state, it is known for its picturesque views, horse farms, and bourbon. There are about 450 horse farms in the region, with about 150 being in the Lexington area. You must add this to your list of things to do. Lexington is also home to the University of Kentucky, just another option in the state for those wanting to get a higher education. There are hundreds of things to do and see in the city. The top attractions include the Kentucky Horse Park, Shaker Village of Pleasant Hill, and Keeneland Race Course. If you love cars, then you must visit Bowling Green. It is the home of the Corvette. Over 70 Corvettes, including classics and rare finds, are displayed at the National Corvette Museum. Bowling Green is also home to the GM Corvette Assembly Plant, where all Corvette’s today are produced. You can also go on an underground boat tour at Lost River Cave. You can also watch a drag race at the Beech Bend Raceway. This raceway has a quarter-mile drag strip and hosts many annual events, such as Holley National Hot Rod Reunion, Danchuk Tri-Five Nationals, and Goodguys Nostalgia Nationals. Learn more about Bowling Green. Owensboro is nicknamed the ‘Barbecue Capital of the World’ due to the International Barbecue Festival that is held in the city each year. It is not just the food that attracts people to the city. There are opportunities for employment in a variety of areas, including health, education, retail, and manufacturing. There are also numerous colleges and universities to choose from, including Kentucky Wesleyan College, Owensboro Community and Technical College, Brescia University, and more. If you enjoy the outdoors, Owensboro has multiple parks for your enjoyment. At these parks, you can bike, hike, run, or even play a round of golf. Covington is Kentucky’s fifth largest city. In the city, itself, there is not a lot to do, with the exception of a few parks and museums. However, it is in the perfect location. It sits near the Ohio River and is just south of Cincinnati, Ohio. If you want to make a trip to Cincinnati, it would take you about ten minutes or so. Seeing that Cincinnati is larger, you have more options. You can visit the Cincinnati Zoo & Botanical Garden, which is the second oldest zoo in the United States. It also has received recognition for being one of the best zoos in the nation. If you are an art-lover, you should also check out the Cincinnati Art Museum, as well. Are you in need of car shipping services to or from Kentucky? Request a free, instant car shipping quote using our online quote calculator. It’s easy. No personal information is required to get a quote in seconds. You can also give us a call at 800-321-2051.